More Magic On Its Way! OneBigNation Is Happy To Announce Its Summer Plans! We know its been awhile since you’ve heard from us, but we have some big news to tell you! While it appears that our server has died down in activity to the public, we can assure you that behind the scenes we are working overtime to make this server the best. Now you are probably wondering why that gif above the title is flashing, here is what that’s all about. As many of our guests have come to witness, OneBigNation is always striving to be the best when it comes to our show technology. Pioneering new magic experiences since the Original Disneyland in 2015! 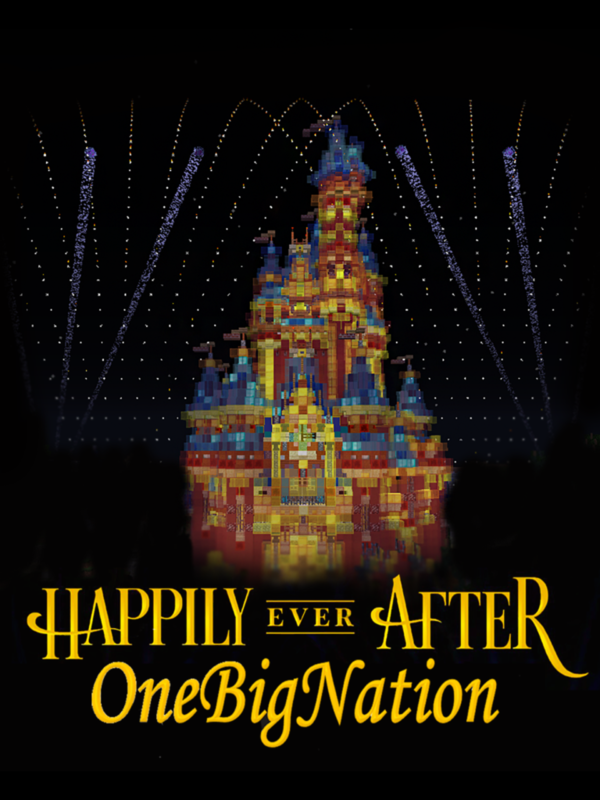 If you’ve been looking on our twitter or discord, you’ll notice that for a long time now we have been hyping up our recreation of Disney’s Happily Ever After Show that premiered in 2017. Thanks to our very hard working Developer Exemplive, we are ready to announce DSuite! What The Heck is a DSuite? Ok, so when can we expect to see this? We completely understand why people are getting anxious about the show’s release date, but Happily Ever After is not only a long show- But it is by far one of the most complex shows to date in the florida parks. We want to make sure we get this right, because if we dont like it then that means the guests wont like it. Failure is not an option for us, so taking our time is key. While we do work as hard and as fast as we can, we are working with new effects and technology never before done in Minecraft- so a rushed show production leads to a bad show. Right now with the new innovations brought upon us by DSuite, the show is planned to premier over the 2018 Summer season, but we cant make any promises! Next: Next post: November News Letter!